At CES 2010, Audio-Technica will be showcasing a host of new products and hosting fun and exciting press events – and more! Please visit us at Booth 21840, South Hall 1 at the Las Vegas Convention Center. New QuietPointÂ® active noise-cancelling headphones will be introduced that offer the company’s acclaimed noise-blocking technology at lower prices than ever before – including noise-cancelling headphones for under $100. 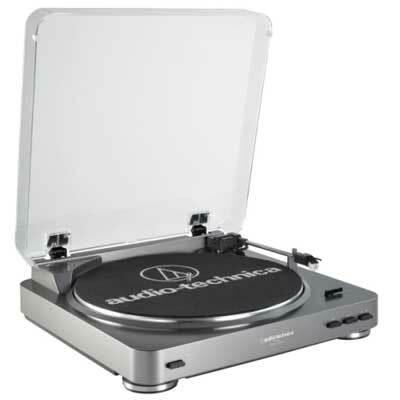 Listening to records is more popular than in decades – and Audio-Technica will showcase a new, high-value USB LP-to-digital turntable system that makes it easy to listen to records and transfer them to digital music files. The AT-LP120-USB direct-drive professional turntable, and AT-LP60 fully automatic turntable will also be featured. Other innovative products will be on exhibit, including the ATH-ANC7b active noise-cancelling headphones, winner of an Innovations 2010 Design and Engineering Award; and the new ATR1205 microphone with colorful custom wraps. Thursday, Jan. 7 is our special press day – the first 100 press attendees will receive a free set of ATH-ANC3 noise-cancelling in-ear headphones. Find your QuietPoint with our noise-cancelling headphones while receiving a free massage from 2:00 – 5:00 from professional massage therapists. Register for a complimentary dinner Thursday evening at The Range Restaurant (at Harrah’s) with Twitter’s ATHeadphoneGirl and the Audio-Technica entourage (or a prize if you can’t attend). Friday, Jan. 8 features free massages from 2:00 – 5:00, and prize drawings at 11:00, 1:00, 3:00 and 5:00. Saturday, Jan. 9 – join the Karaoke Booth Party from 2:00 – 4:00! Everyone who sings will receive a free ATR1205 microphone, and there will be pick-a-prize drawings every 15 minutes after 2:30 (must be present to win). Follow ATHeadphoneGirl on Twitter. Visit Audio-Technica’s Facebook page.